Brought to you by two people trying to diagram the song "Alice's Restaurant" on a white board. 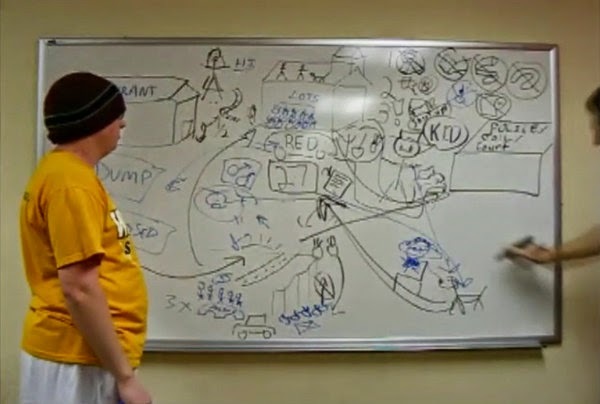 So yesterday, I put up a post with my preferred version (30 year anniversary of the Thanksgiving in question) as well as the video in two parts which the image above is taken from: two people illustrating the song in real time on a white board. Why? Tradition. No other reason. Thus the prompt for this thread, beyond recommends (see below) is tradition. Yours, your family's, your friends' or those of any other group/person you care to discuss. Don't be constrained by the time of the year. Graffiti: sometimes pretty, sometimes profane, sometimes profound, sometimes obscene, sometimes an eyesore, and sometimes it sticks an ear-worm in your head. Brought to you by this image from the wilds of the internet. Increasingly in the world today we can feel helpless. Vote every election and bad people still end up in office. Corporations wield power beyond our imagination, seldom for good. Gerrymandering entrenches people in office, thus preventing voting from bringing accountability. On a more personal scale we often see people we care about suffer for no reason while jerks get ahead. And that's just in my general area. It's important, then, to remember that things are not predetermined, that we are not powerless, that the narratives of our lives, while not wholly within our control, are written, at least in part, by ourselves. Hence the image above. 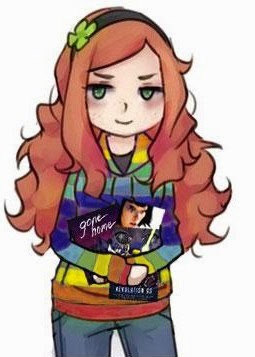 A fictional character, meant to be a sock puppet for and face of a misogynistic movement run by the worst elements of gamer culture, no longer being someone else's mouthpiece but instead playing games that her creators mostly don't approve of (women in videogames, the horror) and finally, at long last, smiling. In the slip of a bolt, there's a tiny revolt. The seeds of a war in the creak of a floorboard. A storm can begin // with the flap of a wing. Every day // starts with the tick of a clock. All escapes // start with the click of a lock. You don't have to cry, you don't have to shout. Mustn't let a little thing like, 'little' stop you. Both sections from Matilda: The Musical. First excerpt from the song "When I grow up" second from "Naughty". Around the time The Book of Eli came out a reviewer noted something the glut of post apocalyptic movies had in common: their color palette. Zombies, nuclear war, infertility, whatever really, if civilization collapses everything will revert to grays and, if you're lucky, the occasional brown. My own observations dispute this. 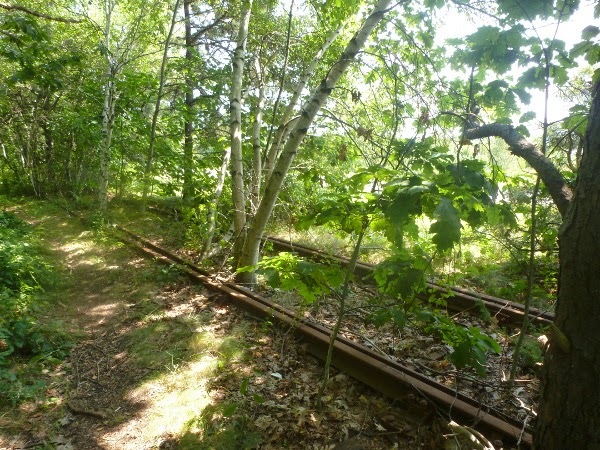 Above is a picture of railroad tracks. The very symbol of technological progress and industrialization. This is what happens to them when people stop maintaining them This isn't deep in the wilderness or anything, it's inside of a city and mowed grass is a few feet beyond it (hence the amount of light coming through the leaves on the other side of the tracks) and paved road a few meters beyond that. My assumption is that if we should find ourselves fleeing zombies for any length of time the world will look like this, before the bright and colorful graffiti has had time to fade.